Want to know more about what goes on at IMCC? 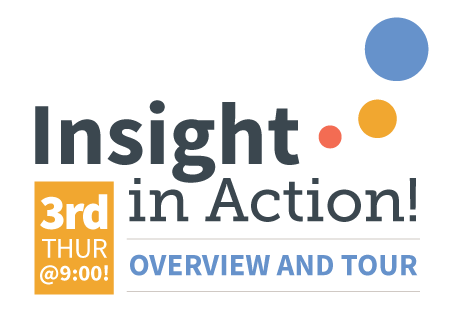 You are invited to Insight in Action, an overview and tour, to see firsthand the work we are doing. Events are offered on the third Thursday of the month from 9:00 am to 10:30 am. Come and see our programs in action, meet the staff, and learn more about resources available! Please RSVP to Christi Clark at christi.clark@insightmcc.org or by calling 703-204-4664. You can also RSVP to an individual session through the event links below.